Georgian style mansion built as a home for William Mayne Duncanson in 1795-1797. At the time, Capitol Hill was open countryside. Francis Scott Key purchased the house in 1815. Later known as The Maples. Acquired by Friendship House social services organization in 1936. It is considered the oldest existing house on Capitol Hill. The Maples, located at 619 D Street, SE (historic address was designated 630 South Carolina Avenue, SE) in Washington, D.C., stands as the oldest building in Capitol Hill. Also referred to as the Friendship House, this traditional Late Georgian styledwelling was constructed in 1795-96 by William Mayne Duncanson, a prosperous merchant. Duncanson’s estate was designed by local architect and builder William Lovering and originally consisted of the two-story, five-bay, brick main house and two-story detached outbuilding (slave quarters/carriage house) that remains on the site today. At the time of its construction, the Maples stood among a handful of grand estates constructed during the early stages of development in Capitol Hill and in the city as a whole. main house. 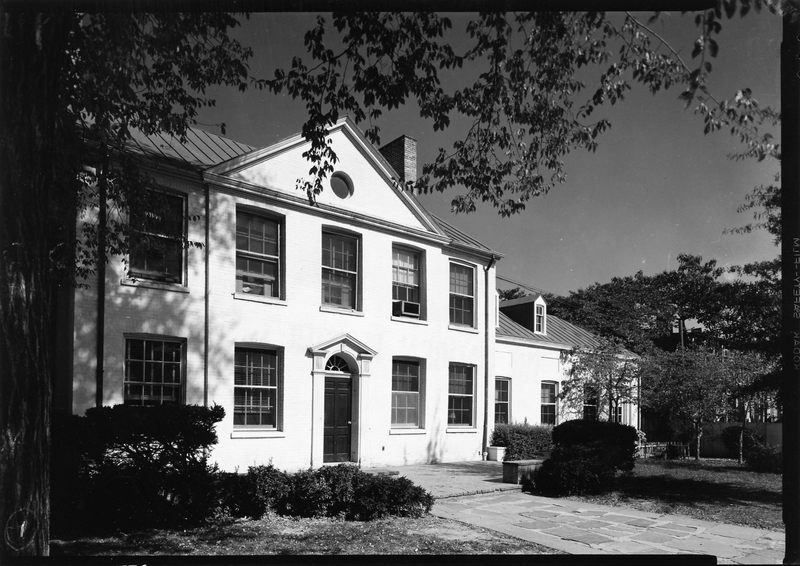 The most substantial of these improvements occurred in 1937 when the original main block of the house with its mid-19th century additions was re purposed as a settlement home operated by the Friendship House Association. Horace Peaslee, a nationally renowned architect, designed a series of one- to two-story additions and connected the detached outbuilding to them to accommodate the needs of the organization making the dwelling a home and community center for the city’s disadvantaged youth. The additions resulted in converting the single-block dwelling into a three-part one with its original core standing as the central, two-story section and single-story side wings flanking it. 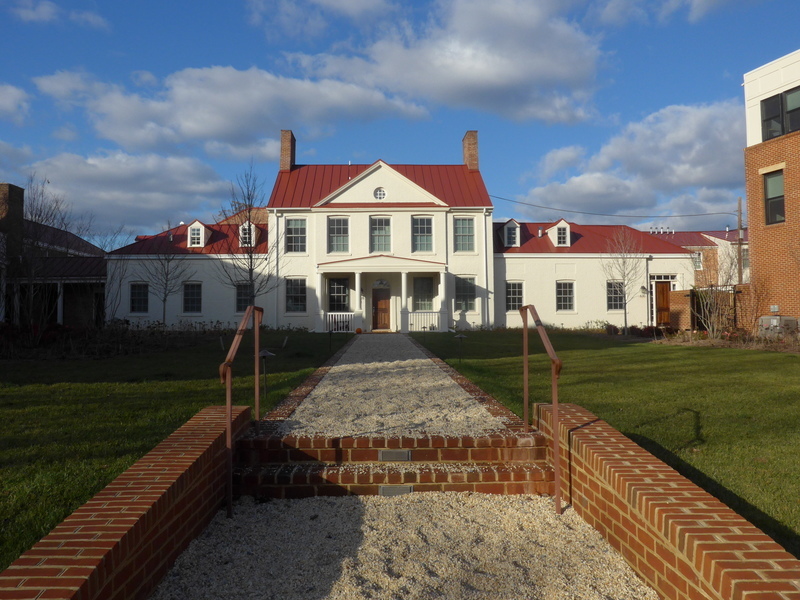 While these 1937 additions have taken on their own significance, recent renovations (2012-2015) have returned aspects of the property to its 18th-century appearance. In particular, the recent renovations disconnected the outbuilding so it once again is a free standing building, and re-constructed a porch on the main block which had been removed in 1937. 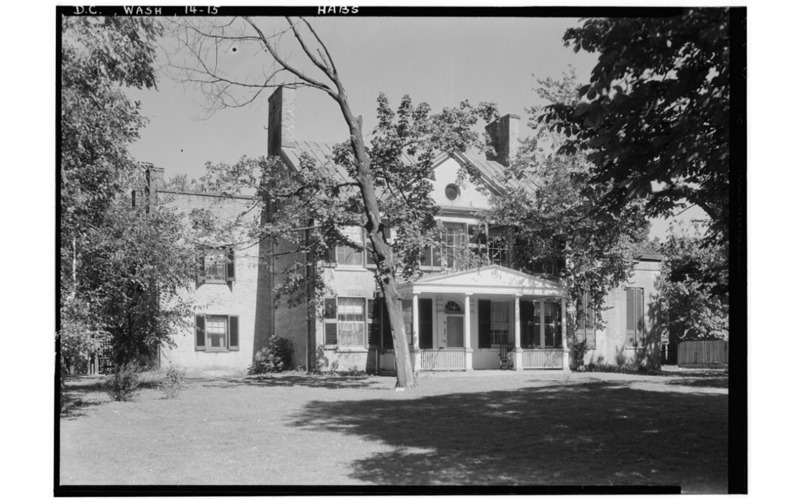 In 1934, before the Maples was converted into the Friendship House, the property was documented by the Historic American Buildings Survey (HABS). These 1934 HABS drawings have provided an invaluable source of information on the plan, elevation and architectural details of the house before its extensive alterations in 1937.
stone retaining wall and is accessed by a handicapped accessible brick ramp. The secondary (north) entrance, set on a landscaped hill, is set back approximately ten feet from the street and features a gated brick courtyard accessed by a brick double-curved stairway. Capitol Hill and was included within the Capitol Hill Historic District in 1976. At the time of listing, because the original core of the house, its outbuilding and later additions were all connected by virtue of the 1937 additions, it was counted as a single building. 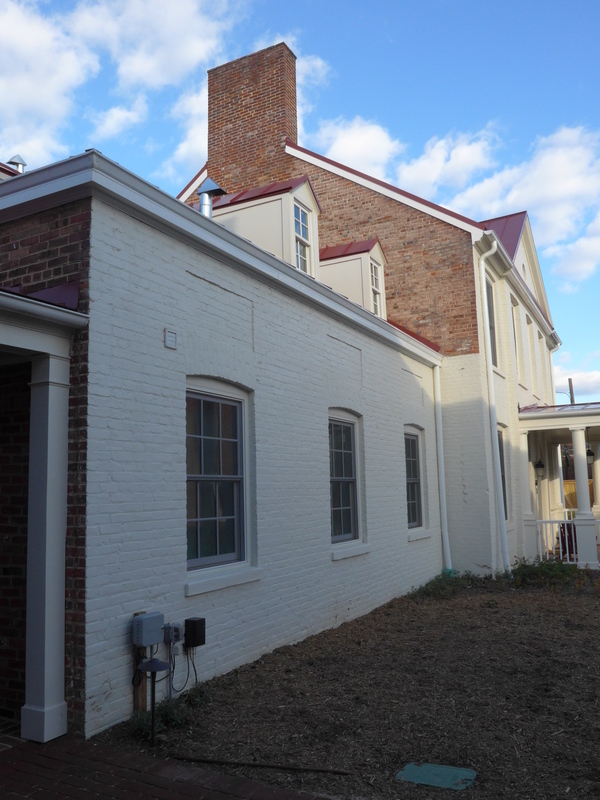 This amendment nomination provides additional documentation, including a description of the recent (2012-2015) renovation that included removing the addition connecting the slave quarters/carriage house, and the addition of three other detached buildings. As a result, this amended nomination counts five buildings on the property—the original main house with its attached mid-19th-century additions and its 1937 additions (previously counted in the National Register), the 1795-1796 slave quarters/carriage house, and three new (2015) dwelling units. 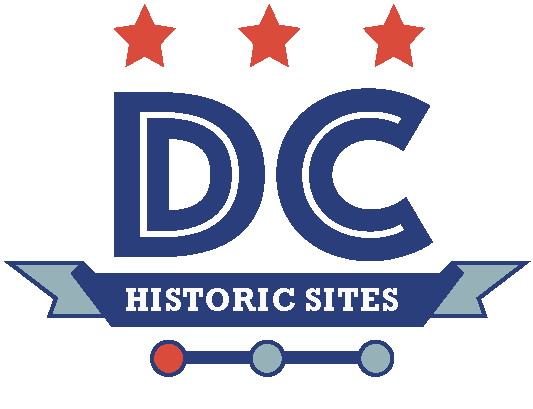 “The Maples (William Mayne Duncanson House; Friendship House),” DC Historic Sites, accessed April 24, 2019, https://historicsites.dcpreservation.org/items/show/355.